Part of a fantastic series that gets young readers reaching higher. Want to be on top? Climb the Reading Ladder! A jousting contest is being held at Creaky Castle. 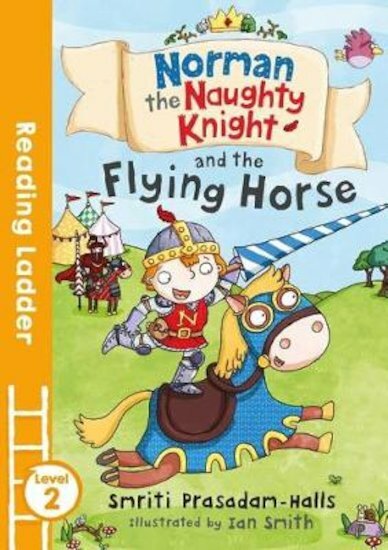 Norman the knight and Doris the Dragon can’t wait to watch! But when Norman starts telling silly stories to the competitors, he ends up in real trouble. Oh, and he’ll need to learn how to joust! Oh dear!